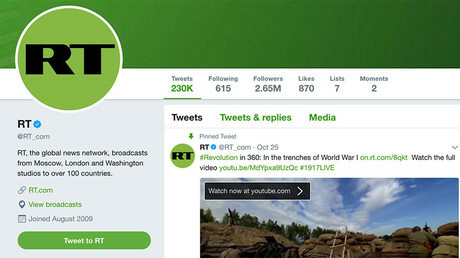 The move by social media company Twitter to ban two Russian news outlets from placing advertisements on the site is a "blatant violation" of international norms, a Russian Foreign Ministry spokeswoman said, adding that retaliation measures are unavoidable. 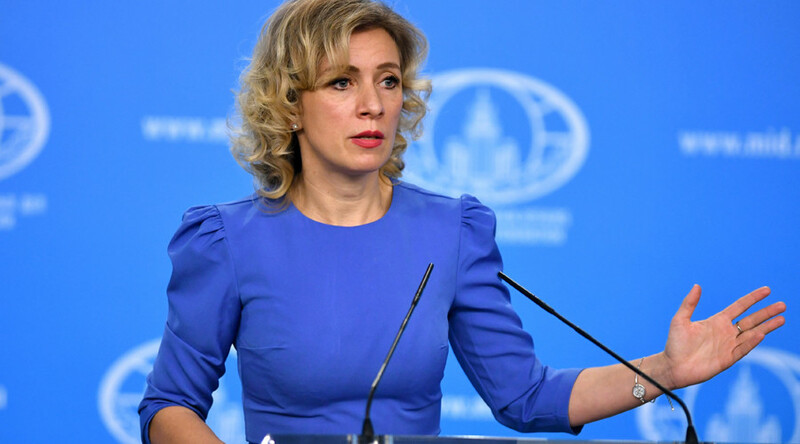 "We consider this a yet another aggressive step aiming to block the activity of Russian channel RT," Foreign Ministry spokeswoman Maria Zakharova said in a statement to the channel. She added that the ministry considers the move a "result of pressure from some of the US establishment and security services." "Retaliatory measures will naturally follow," the official added. Zakharova said the step was an "unprecedented attack" which prevents the Russian media from doing their job. She added the step was a "blatant violation" of both international norms and US laws providing freedom of speech. The fact that privately-owned corporations are now involved demonstrates that "US power brokers" are after the media, the spokeswoman said. The Chair of Russia's Foreign Affairs Committee, Senator Konstantin Kosachev told RT he considers the actions of the American company "to be nothing else than an infringement of freedom of speech." The move also shows that Twitter is "playing into the hands of US 'strategists' who are trying to build" a campaign against President Donald Trump, the senator said. The decision to single out Russian outlets out of thousands of Twitter advertisers without providing any proof supporting the allegations behind the ban is "outrageous," he said. Kosachev added that he has decided to delete his own Twitter account. "I can now see that this company is dependent in its actions, and highly politicized," Russia's Foreign Affairs Committee Chairman said. "There has been a big build-up on the push back against Russian media" in the West, former British intelligence officer Annie Machon has pointed out. She said the anti-Russia campaign goes against freedom of expression while also targeting anyone with "a descending voice towards the American consensus." "One of the things that people need to be most concerned about is that because of this narrative of Russia trying to hack elections, Russia trying to subvert democracy, Russia trying to buy influence... We are now seeing big social media corporations like Facebook and Google bringing in algorithms to try and weed out alternative news sources," Machon told RT. Since April, some popular news websites have noticed "a huge dip in visitors" in the West, the expert said, explaining that those sites are being hidden on Google searches. "This is censorship, just like what's happening on Twitter," she said. On Thursday, the California-based company announced its "policy decision to off-board advertising from all accounts owned by Russia Today (RT) and Sputnik." Saying that the measure will be "effective immediately," the social network cited US intelligence community allegations that the Russian media helped Moscow interfere with the 2016 presidential election. Commenting on Twitter's decision, RT Editor-in-Chief Margarita Simonyan said the move demonstrated the company apparently being "under the control of the US security services." It could trigger retaliatory measures towards US media in Russia, she added, calling the situation "highly regrettable." 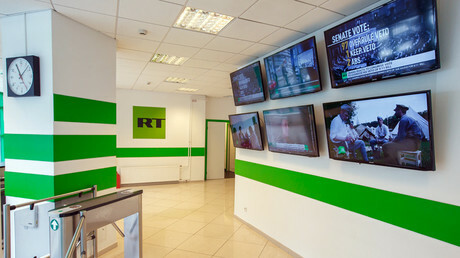 Simonyan also revealed that the US social network had attempted to push RT to spend big money on its US election ad campaign.